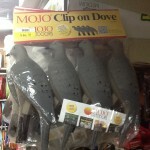 Hurry in and pick up your Mojo VooDoo Dove Decoy this season at Standley Feed and Seed! 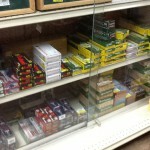 We carry dove decoys and shotgun shells. 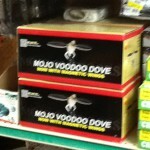 One of Mojo Outdoors’ great success stories, the VooDoo Dove Decoy can change the way you hunt doves. Redesigned with a larger, more realistic, body in a natural landing position, the Voodoo Dove spins its lightweight, corrugated plastic wings to display the alternating dark/white flashes of landing or lofting birds. Bring the doves to you this season with a Mojo Dove Decoy from Standley Feed and Seed. 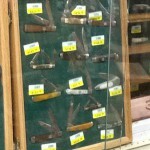 If you have any questions about this product, please call us or stop by our store. This entry was posted on Thursday, July 20th, 2017 at 7:07 pm	and is filed under News & Updates. You can follow any responses to this entry through the RSS 2.0 feed. Both comments and pings are currently closed.